It's always a pleasure to enjoy good wines such as Chardonnay, Cabernet Sauvignon, Pinot Gris or Sauvignon Blanc. 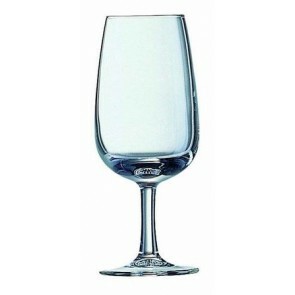 Enjoy the varieties of grapes and aromas in the most suitable glass... the wine glass! 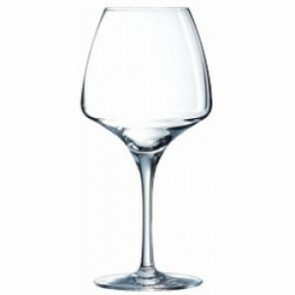 What is called a good wine glass ? Any good oenologist will tell you that there is nothing like a good wine glass for a good tasting! You should know that the wine glass is a stemmed glass which comprises of 3 parts, namely the base, the foot and the chalice. The base allows to safely place the glass. The foot allows a good grab while the chalice, from where the beverage is poured, enables the service of the wine. Thus, both the shape and the material of the glass are crucial in wine tasting! Indeed, the shape of the wine glass can easily influence your perception of wine at all sensory levels during tasting which includes the visual aspect, the olfactory aspect and the taste! 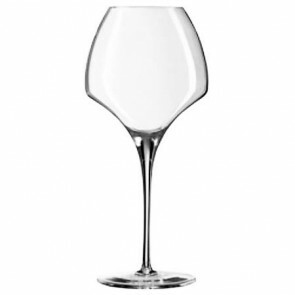 However, it is important to know that the choice of glass, whether it is a balloon-shaped wine glass or a tulip wine glass, is also essential to fully appreciate the acidity or sweetness of the wine. To do so, it is necessary to oxygenate your wine! Therefore, for optimal oxygenation, it is essential to use a decanter or a wine carafe, to allow the wine to "breathe". Indeed, this wine aerator will allow the easy release of the aromas of the wine. If the wine tasting is done in a special way, it is nonetheless the same for the wine service! In fact, if you wish to appreciate vintage wines in a better way, pouring your wine up to the gob (that is, the widest part) would contribute to a better taste experience! When the wine turns in the glass, the molecules will break in the parison and release the aromas perfectly! It is also essential to note that in order to enjoy a good glass of red wine such as the Burgundy or the Châteauneuf-du-Pape AOC, the ideal temperature should be 14°C. 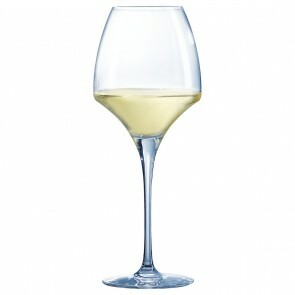 For a white wine glass, it is rather 8°C. Do not forget the food and wine pairing ! You need to also think about the food and wine pairings that are possible during your festive meals when you receive guests! Thus, in oenology, it is advised to combine different types of wines according to the dishes. For example, it would be good to know which wine to choose depending on the nature of your cheese. With strong cheeses like the Munster or Maroilles types, it will be necessary to taste powerful red wines such as Côte Rôtie or Burgundy ; with a reblochon, a red wine which is not too woody nor too tannic the Beaujolais is recommended. On the other hand, contrary to popular beliefs, most other cheeses go very well with white wine such as the Alsatian Riesling or Gewurztraminer. Fresh cheeses go very well with dry white wines (Savoy wines or white Burgundy). An old "comté" will go very well with a yellow Jura wine. 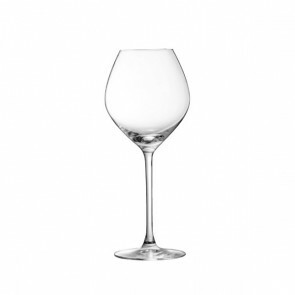 Which wine glass to choose for which wine? If you are a fan of great red wines like the Pinot Noir type wine namely the Burgundy wines, choose a large wine glass, with a rather flared bottom to allow the wine to aerate. If you prefer white wines such as the Muscat, Chardonnay or Viognier, opt for a wine glass that is straight and slightly closed at the top. In any case, choose wine glasses with a wide base and a slightly closed opening, to better condense and sniff the aromas with your nose. The most relevant example is the INAO glass! This tall glass has a shape reminiscent of a stretched egg. Its opening is narrower than the middle part of the glass and the aromas are concentrated in a well-defined area which is ideal to enjoy a great vintage wine! The opening is designed to allow an olfactory interpretation of the wine which a cellarman would refer to as the "nose of the wine". Serving wine is really an art! The INAO or Iso glass has been designed to be the ultimate tasting glass. 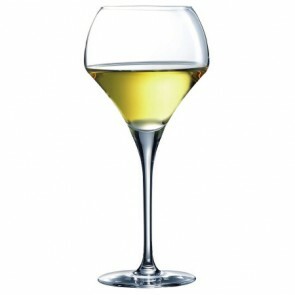 This clear and colorless wine glass has been designed so as not to divert the taste during wine tasting. To appreciate all the qualities of this glass, it should be filled up with a capacity of 50ml. Did you know that the champagne flute can also be considered as a wine glass? In fact, the champagne is also a wine. 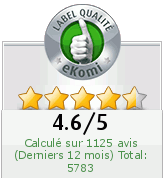 This sparkling wine, which is of French origin, is protected by a AOC label (french designation of origin). 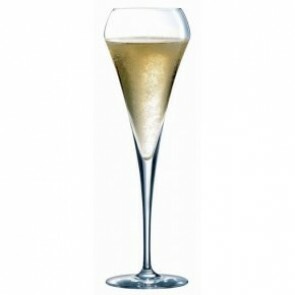 Our champagne flutes are available in all types of materials like crystal, crystalline, krysta and so on. Serve a bottle of sparkling wine like the Clairette de Die, the Blanquette de Limoux or the Crémant d'Alsace in your champagne glass! 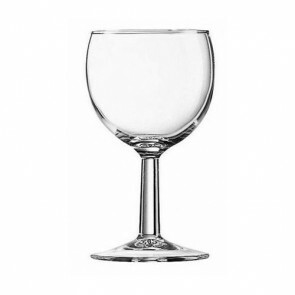 Buy your wine glass on AZ Boutique! 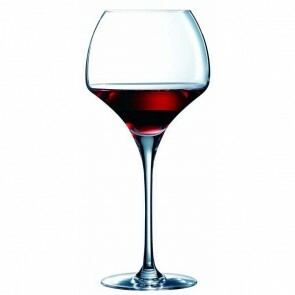 There is a panoply of wine glasses such as the balloon glasses, the porto glasses or the burgundy glasses! Whether you are looking for a wine glass made of glass, crystalline or crystal, you will find everything on AZ Boutique ranging from the crystal of Cristal d'Arques, Chef & Sommelier, Luigi Bormioli or Arcoroc among so many others.